The Museum staff would love to host your group or family tour with a trained docent who will help make your visit informative and enjoyable. 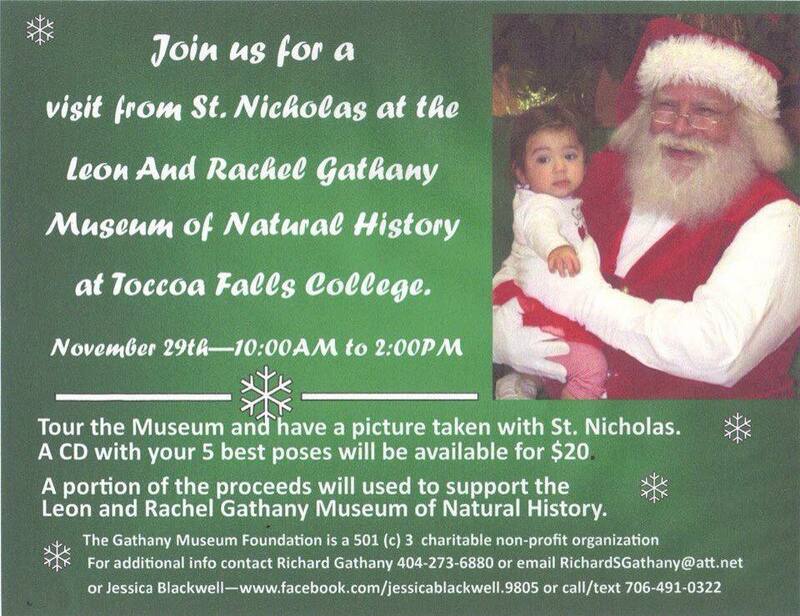 The fourth annual Christmas at the Museum with a visit from St. Nicholas was held Saturday November 29, 2014 at the Leon and Rachel Gathany Museum of Natural History. 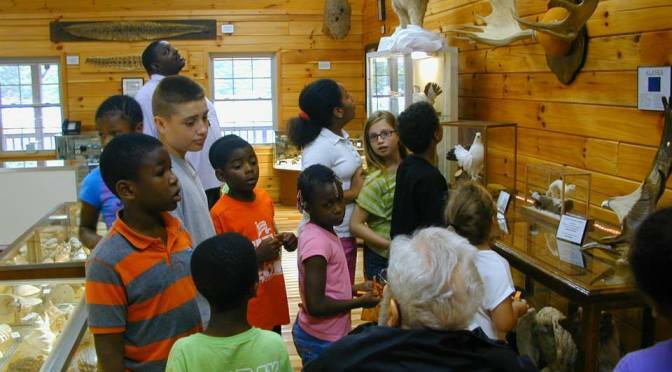 The museum is located at Toccoa Falls College, just beyond Gate Cottage and the entrance to the falls. St. Nicholas was there for pictures with families and children. 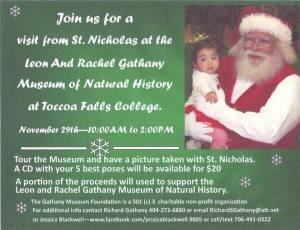 Click this link to view a slide show from the 2013 visit: Saint Nicholas Visits the Museum 2013 (courtesy of Jessica Blackwell).